The author of the bestselling SLOW COOKER and A YEAR IN A BOTTLE shows you how to incorporate homemade preserves into a range of recipes, turning what would have been a nice meal into a truly sublime one! Sally Wise has been a passionate preserver of fruits and vegetables for over three decades. Easy to make, nutritious and additive-free, preserves are sensational as stand-alone products - but that is just the beginning of their potential. A jam can be far more than an accompaniment to scones and cream, and a pickle is far more than a mere friend to meats or cheese. A simple dish can be turned into something sublime by the addition of a spoonful or two of home-preserved product - and that is why Sally's pantry shelves are lined with dozens of bottles of preserves each year, a veritable storehouse and toolbox from which to create amazing dishes. 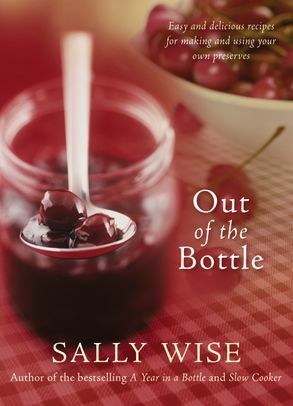 OUt OF tHE BOttLE contains tips and basic methods for the novice home preserver, as well as a collection of Sally's favourite preserving recipes and the dishes in which they play an integral part. From stir-fries to roasts, curries, vegetable dishes and savoury tarts; from delicious Mini Cherry Mud Cakes to Hummingbird Muffins, Sally's recipes have been developed over a lifetime of experimentation. they range from comfort food to contemporary dishes, and always focus on flavour, quick and easy preparation and natural ingredients. Never again will you reach for a bottle of pasta sauce - not when your own tomato relish will have friends and family demanding to know what your secret ingredient is, and keep them coming back for more!